Strange things happen at the end of the year. Folks will take their homes off the market in December, only to re-list in January. 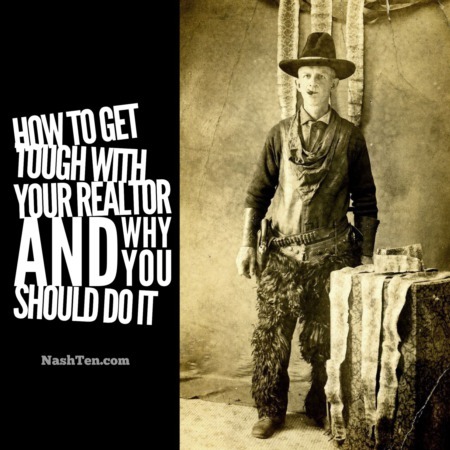 Only serious buyers will write a contract during the holidays. And there is a rush to close before the end of the year. This can lead to big swings in inventory and a dip in the median sales price between December and January. These two measurements are not good predictors for the rest of the year at the moment. So we will mostly focus on the volume in January because sales set the tone for the year. The best indicator is to compare sales, year over year (YoY). Or the number of homes sold in January 2019 vs January 2018. 2018 was our second best year in the history of real estate in Nashville. 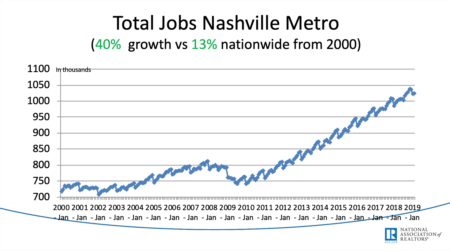 It was slightly behind the best year, 2017, when Nashville was the hottest market in the country. 2019 sales volume was down just a pinch from 2018. We missed the mark by 24 homes. That’s not too bad considering the government was shut down for 25 days in January. Previous government shutdowns had bigger effects on the market. And this one will too if it continues to linger on. While we have learned to work around some of the lender issues when it comes to shutdowns, we haven’t figured out how to deal with the damage to consumer confidence. Did you notice how much rates dropped when the shutdown started? That works for a temporary problem. However, a long term battle over the budget will definitely cause problems for the market in 2019. Let’s hope smarter brains prevail in Washington this week, if they can find some. 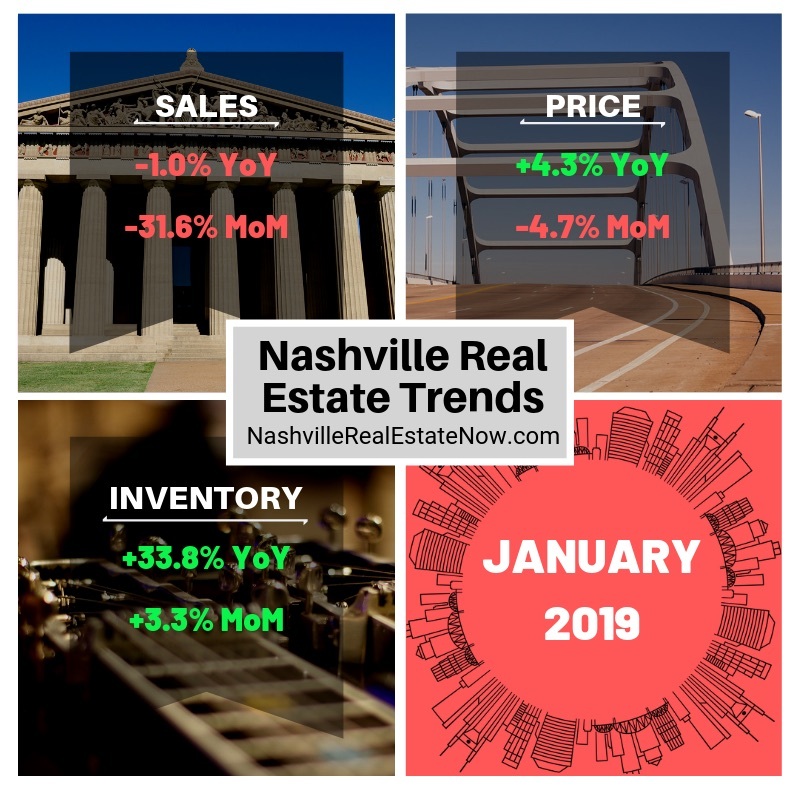 If you have questions about the Nashville market, just message me.